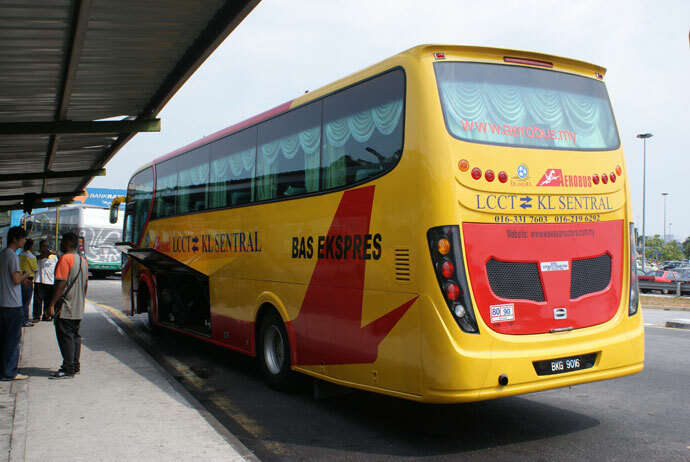 Aerobus is an established bus operators in the Malaysian bus industry. It provides many familiar routes and operates at many pickup points within Kuala Lumpur and Genting Highlands. Their rapid growth has seen them grow to around 80 staff strong with 20 fleets by the year 2009. Their large fleet complies with the standards set by SPAD, in terms of comfort and safety. This is made possible through the regular fleet maintenance. Their drivers undergo regular training to ensure that their services consistently meets and surpasses the standards set by the company, producing a memorable travel experience for their passengers. Their fully-air conditioned buses are equipped with 40 comfortable seats, each installed with reclinable features. Furthermore, the bus is spacious, ample of walkway and legroom to avoid restlessness throughout the journey. Aerobus is known for their trips from Kuala Lumpur to Genting Highlands. Their departures usually commences from Hentian Jalan Pekeliling to Awana Bus Terminal, taking approximately an hour of travelling. Bus travels have moved from physical ticketing counters to online bus bookings. Begin your journey with Aerobus on CatchThatBus - the faster and easier way to a smooth bus travel experience. Visit our website or mobile app on Google Play or App Store and book your bus tickets today! Bus a lot of mosquitoes. very unhygienic for passengers. The flight time clashed with my bus so I requested for a change in my bus timing. They changed my time after hearing my problem! Thumbs up for their services. This is my 2nd time boarding their bus 😄😄😄. bus smells nice and seat comfortable. I saw so many coackroaches running around. Please clean your buses.